So, my door panels are falling apart, I was thinking about getting a set from JBG. My prob is I have no idea which is the correct color for the EB "medium mocha" interior color? Typically interior colors are a vinyl paint. 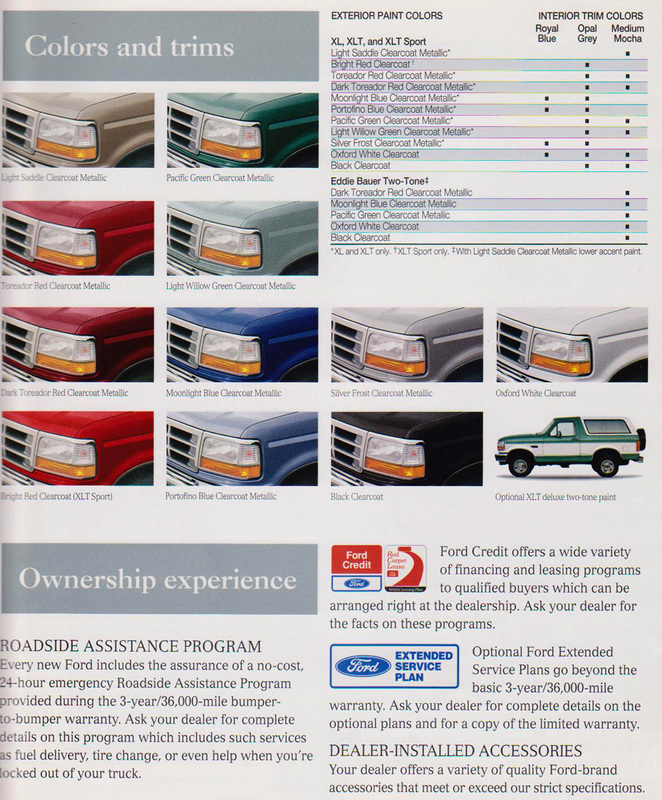 Interior colors are not color coded on the Bronco anywhere so you have two choices. You can borrow color books or you can also go to a body shop with interior color chips and have them tell you what color code you have. Once you know the color code, an automotive paint store can mix up aerosol cans for you in proper SEM color. Fuse panel cover should suffice. Or glove box interior.